This eclectic urban cottage beautifully blends elements from different cultures and times. 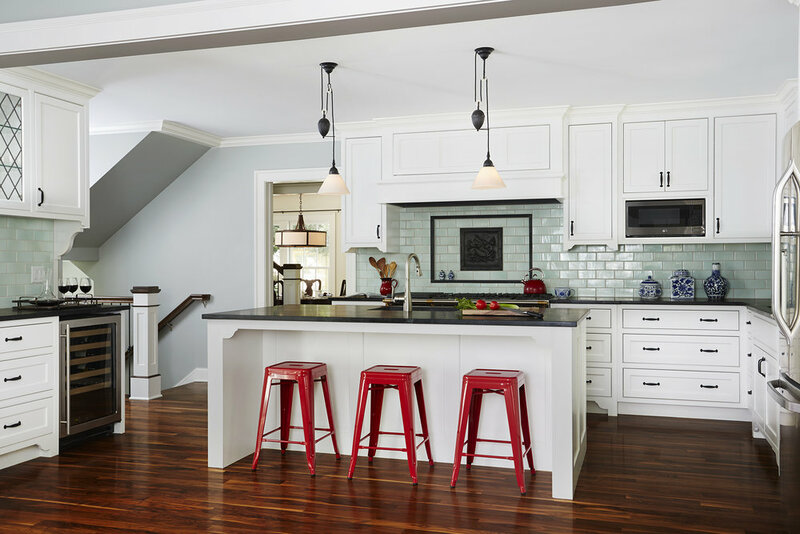 The whole house remodeling balances fun European colors with traditional American styles. Notice the distinctive hot pink door, imported French stove and dragon medallion backsplash detail. 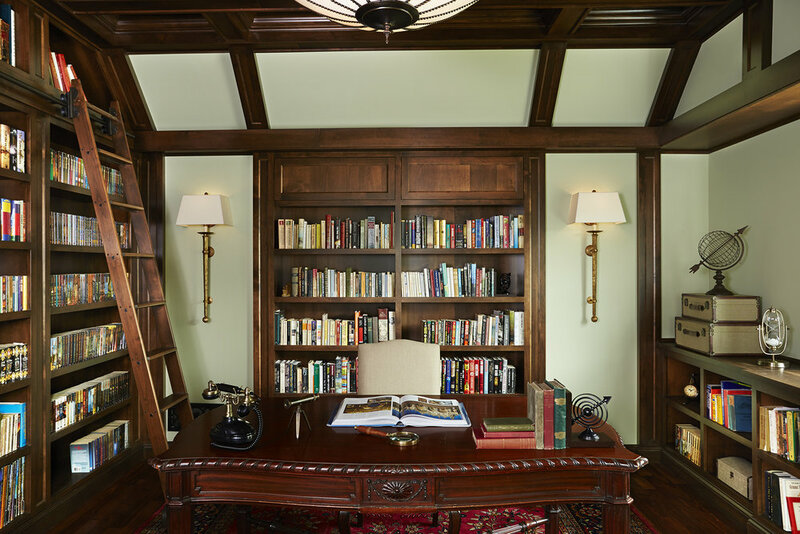 The handsome 2nd floor office with its coffered ceiling and wall to wall bookcases brings the meaning of “working from home” to a whole new level!